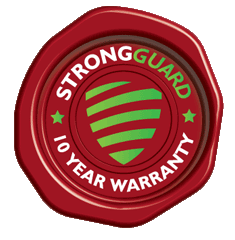 I would like to take this opportunity to say a very big THANK YOU to Strongguard for the very professional and helpful assistance given during this process. After dealing with David I felt very confident I was in good hands particularly as I was never expecting to have to replace my whole roof and was very worried about it. I must also give huge kudos to Scotty. He completed a lot of the job solo as Tye hurt his wrist and he put in some very long, heavy days. He was so thorough and I am extremely happy with the job done. We had some serious rain last night and not leaks. Yay! Again, many thanks.